12th Jan, The Septuagenarian (Victoria-Guildford-Victoria): Albury Heath; Shere; Abinger Hammer. 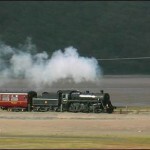 5th Aug, The Cumbrian Mountain Dalesman (Carnforth-Shap-Appleby-Hellifield): Salterwath; Waitby Common. 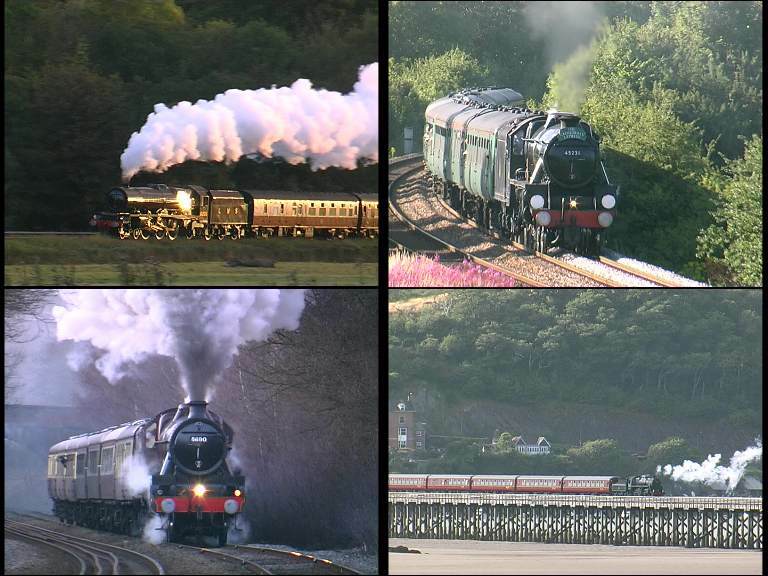 4th Mar, Leander 70th Birthday Tour (Tyseley-Walsall-Wellington-Chester & return): Plas Madoc, Llangollen Junction; Rhosrobin, top of Gresford bank; Weston Rhyn. 25th Mar, Excursion (Washwood Heath-Barnt Green-Bristol Chepstow-Cardiff & return): Lickey Incline. 8th Apr, The Midlander (Tyseley-Nuneaton-Harringworth-Kettering-St Albans and return): Harringworth viaduct, both ways. 2nd Sept, Leander Over Shap (Crewe-Shap-Carlisle and return): Great Strickland. 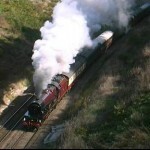 31st Mar, empty coaching stock (Tysley – Marylebone): Ardley Tunnel. 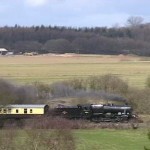 1st Apr, Chiltern Centenary Specials (Marylebone-High Wycombe and return): Gerrards Cross; Jordans; Beaconsfield. 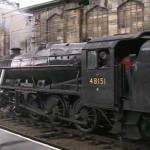 3rd Sept, The Jacobite Steam Express (Carlisle-Shap-Preston): Carlisle. 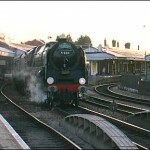 13th Jul, The Cathedrals Express (Victoria-Staines-Salisbury-Bath-Bristol and return): Upton Scudamore, Grateley. 12th Apr, The Strong Countryman (Salisbury-Yeovil Jc-Yeovil Pen Mill-Weymouth -Bournemouth-Eastleigh-Salisbury): Tisbury, Wardour; Templecombe; Yeovil Junction; Melbury Bubb; Evershot; Bincombe; Dunbridge; Lockerley. 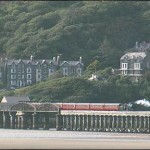 30th Jul – 2nd Aug, The Cambrian Coast Express (Aberystwyth-Machynlleth-Barmouth and return (Sunday) & Machynlleth-Porthmadog and return): Glandyfi; Llandecwyn; Barmouth. 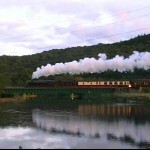 31st Aug, The Whitby Endeavour (Whitby-Glaisdale-Whitby): Whitby; Sleights. 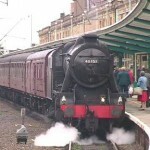 9th Jul, The Cathedrals Express (Clapham Jc-Wimbledon-Woking-Salisbury-Exeter and Yeovil Jc-Clapham Jc): Salisbury. 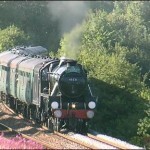 16th Aug, The Sunny South Special (Kensington-Woking-Southampton-Weymouth and return): Eastleigh; Shawford. 2nd Sept, The Dalesman (Hellifield-Settle-Appleby-Carlisle and return): Langwathby Moor, Helm. 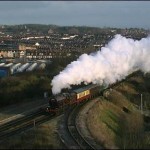 25th Nov, The Cathedrals Express (Victoria-Staines-Newbury-Westbury-Bristol and return): Crofton. 18th Feb, The Midlander (Derby-Bromsgrove-Gloucester, Bristol-Yate-Bromsgrove-Derby): Lea Marston; Stapleton Rd, Bristol. 7th Oct, The Devonian (Taunton-Plymouth-Taunton): Beam Bridge; Whiteball; Dainton; Tigley; Bow Grange; Coombe Fishacre; Woodrow Barton.